Thief 4 may take a lot longer to arrive than anyone expected. 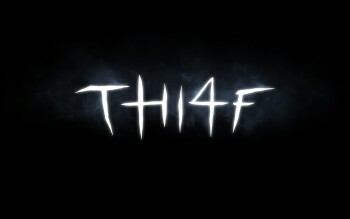 It's been well over three years since Thief 4, which I still refuse to call "Thi4f," was made official by the good people at Eidos. Since then, we've seen pretty much nothing; a short, dark trailer which may or may not have anything to do with the actual game bubbled up to the surface in June and some storyboards leaked in November of last year, but beyond that there's been nothing - not even a release date. There is now, however, a rumor that the game won't be showing up anytime soon. According to the latest issue of OXM and bolstered by CVG sources, Thief 4 won't come out until late 2013 at the earliest, and when it does finally arrive it will be as a next-gen title for the new consoles Microsoft and Sony presumably intend to put out late next year. There's no indication as to whether it will be an actual launch title or simply released for the new consoles at some point after they hit the shelves, which as Rock, Paper, Shotgun notes would put the game back to sometime in 2014, nor is anyone saying why, after four years in development, the game is being switched to all-new platforms. I like to think that it's good news, that the developers want to make this the biggest, baddest Thief game ever, but even if it's happening because the game as it stands is an unplayable piece of crap, a delay - even a long one like this - is certainly a better option than flat-out cancellation.